How Should I Store My Florida Estate Planning Documents? Preparing a Florida will or trust, power of attorney, and other related documents is an important first step in the estate planning process. The next step is to make sure your documents are properly stored. After all, if your will is accidentally lost or destroyed–and thus cannot be located after your death–it has little value to the Florida probate courts or your family. In order to ensure your wishes are carried out, then, it is critical to not only secure your Florida estate planning documents. You also need to make sure a family member or other trusted person can promptly locate and retrieve your original documents. If you have minor children, a nomination of a guardian to care for them. Statements identifying your bank and brokerage accounts. You should consider keeping all of these documents together in a single folder. Many people choose to keep their original Florida estate planning documents in a safe deposit box. While this will ensure your documents are secure, you need to be careful when opening the box. If you rent a safe deposit box as an individual, the bank or financial institution will seal it upon death and only release the contents to a court-appointed executor. But if the will naming the executor is in the safe deposit box, that can create a problem. Need Help From a Florida Estate Planning Attorney? Whatever your storage method, it is equally important to make sure the right people have access to your estate planning documents once you die or become incapacitated. For example, make sure that the executor of your estate can access your will. 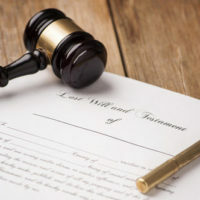 You should also keep your Fort Myers estate planning attorney in the loop, especially if you want them to assist your executor in administering your estate. For additional advice on this or any other estate planning topic, contact the Kuhn Law Firm, P.A., today at 239-333-4329.